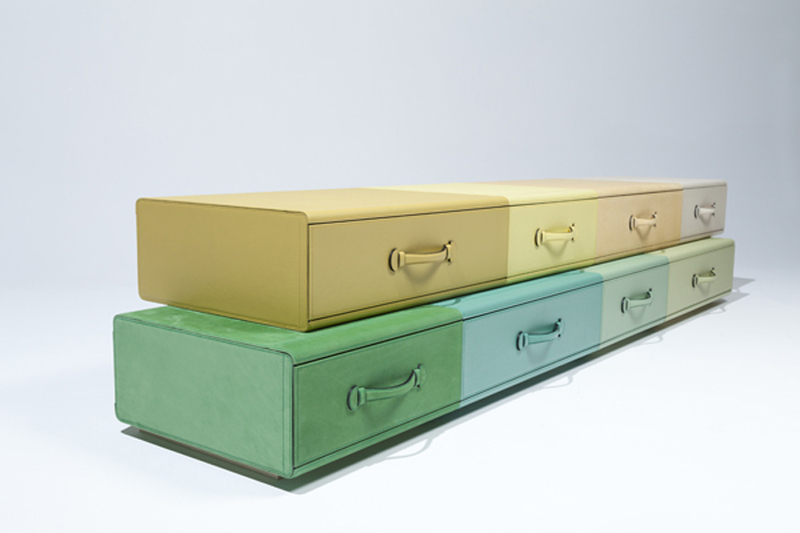 developed using towers and asymmetric compositions made from suitcases and briefcases in precious leathers, belgian designer maarten de ceulaer has conceived ‘the chest of suitcases’ in close collaboration leather artisan ralph baggaley. 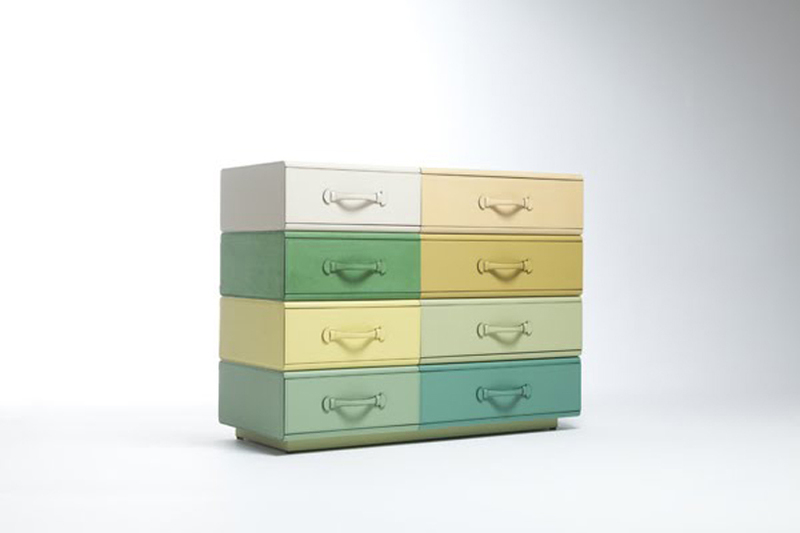 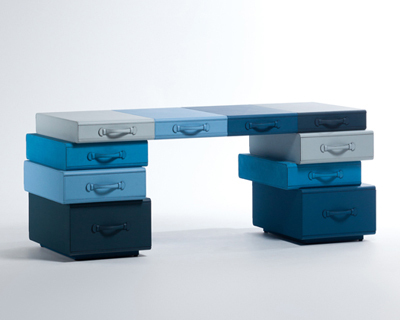 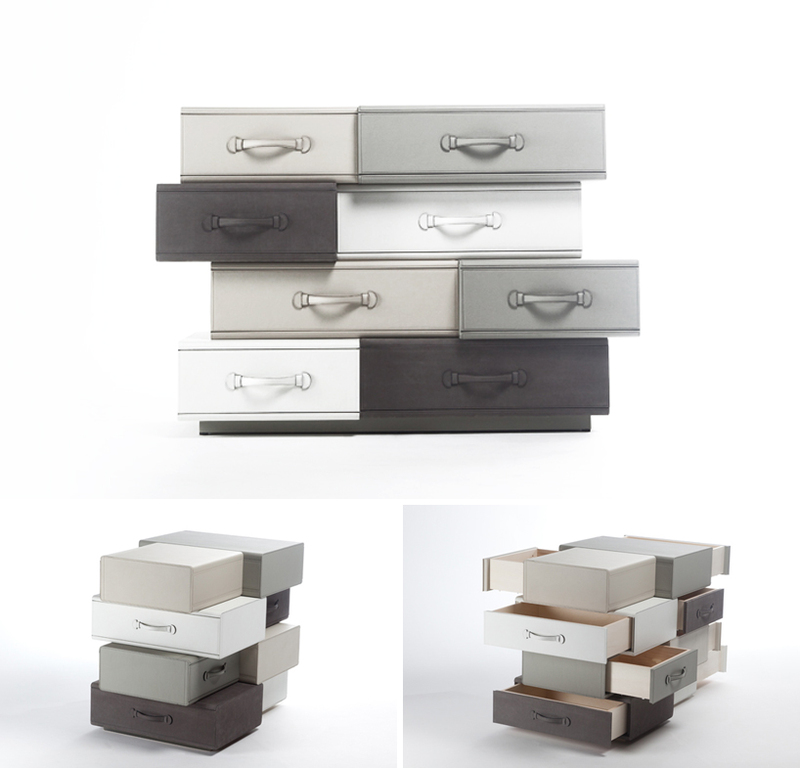 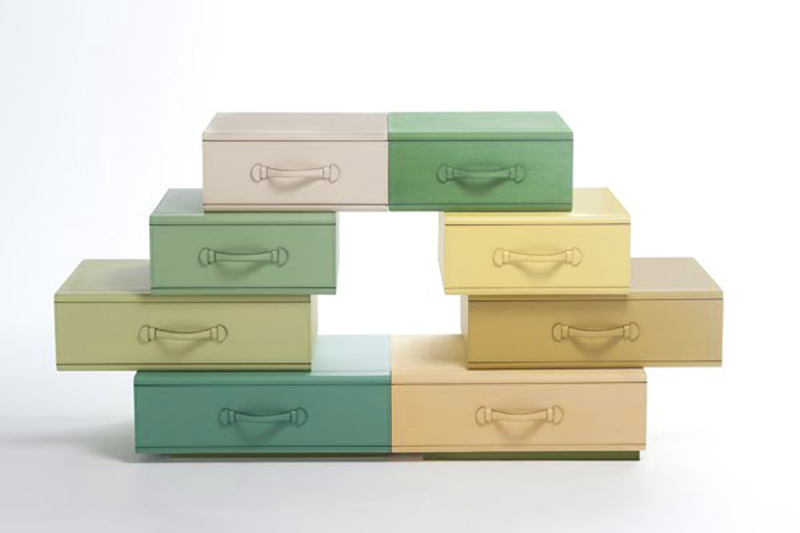 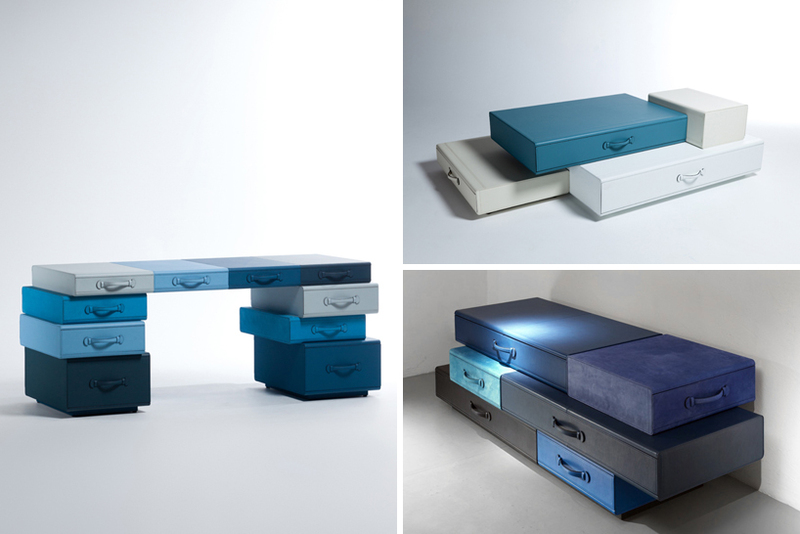 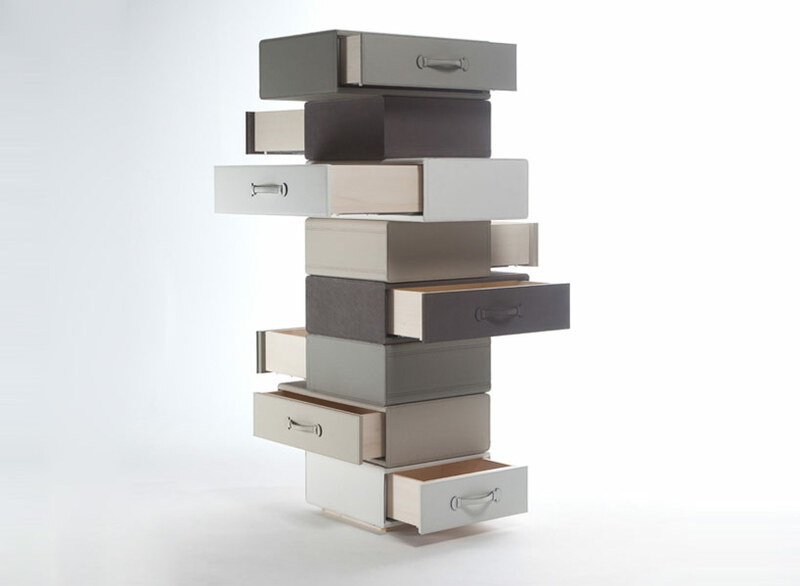 highly versatile in its composition, the series presents separate drawers, all of which can be stacked in various configurations. 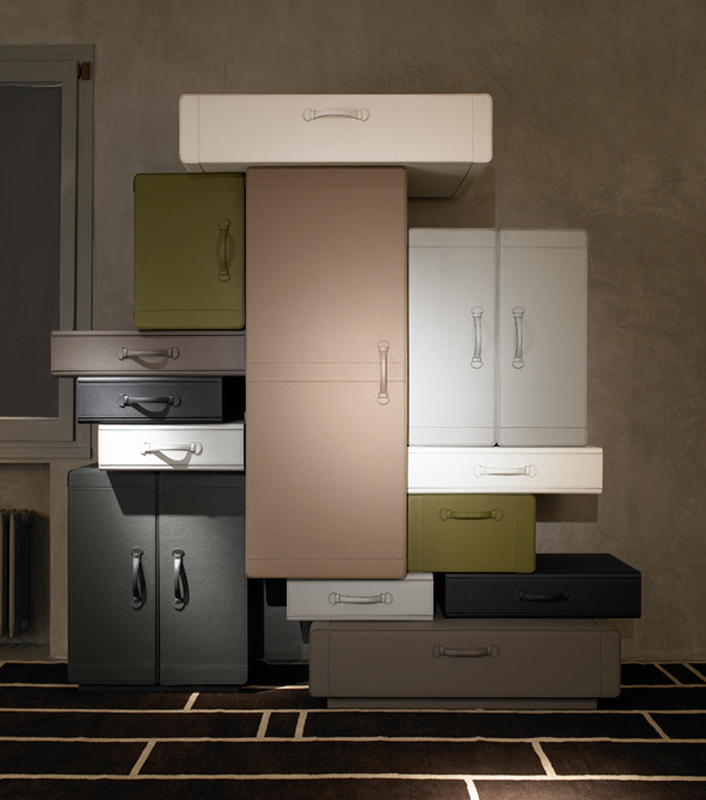 though colorful and playful, the collection evokes luxurious and sophisticated atmospheres, but at the same carries the dynamic vibe of modern nomads. 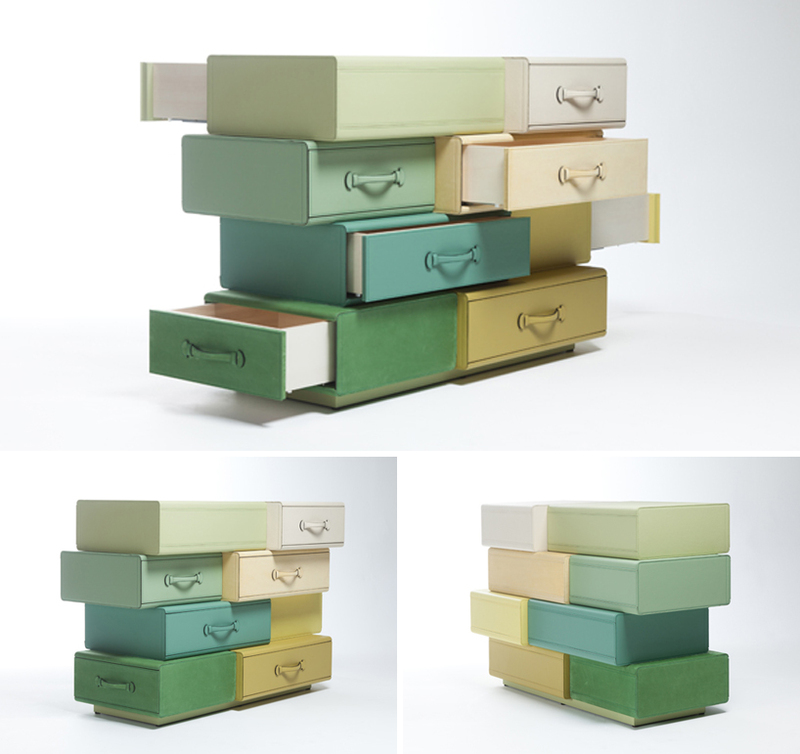 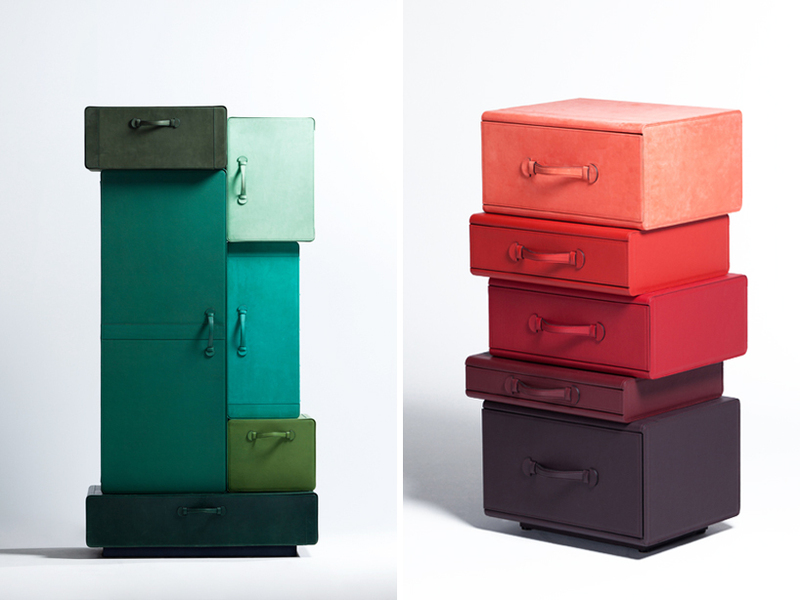 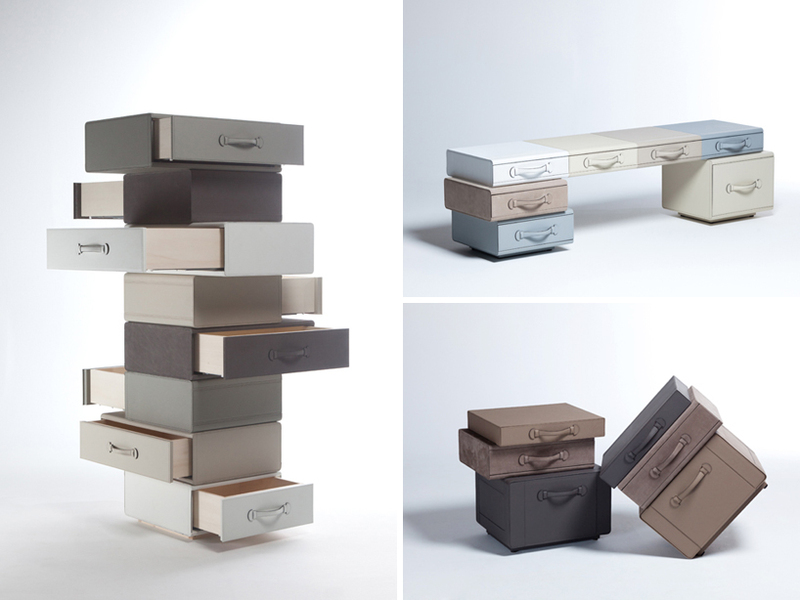 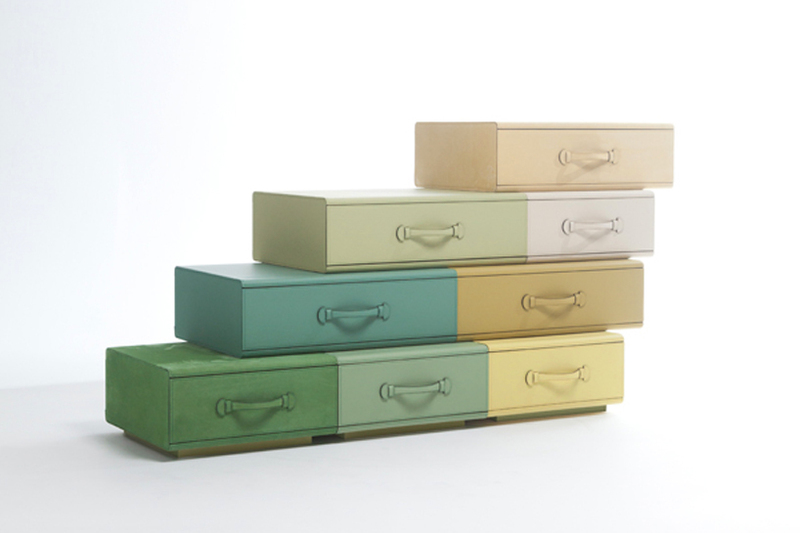 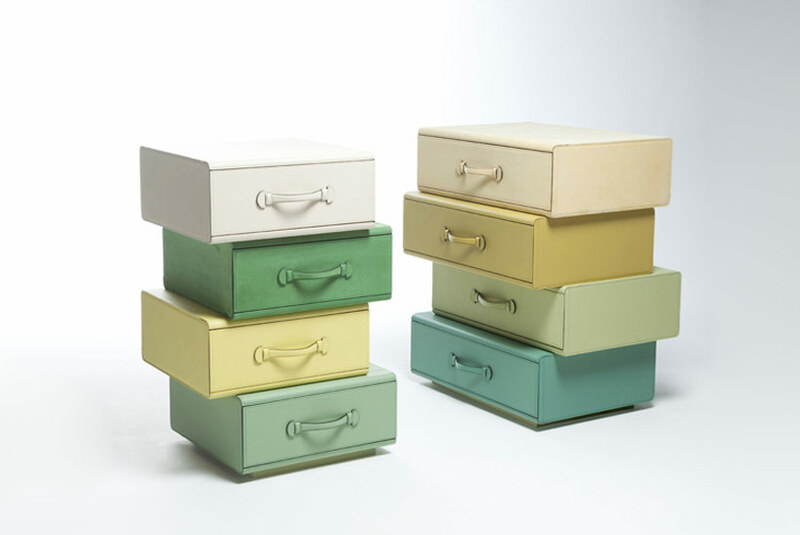 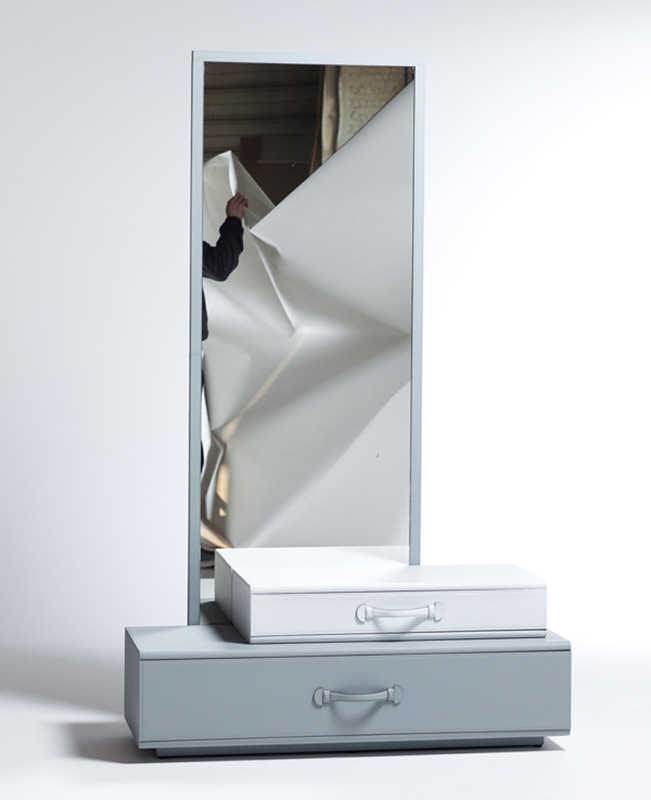 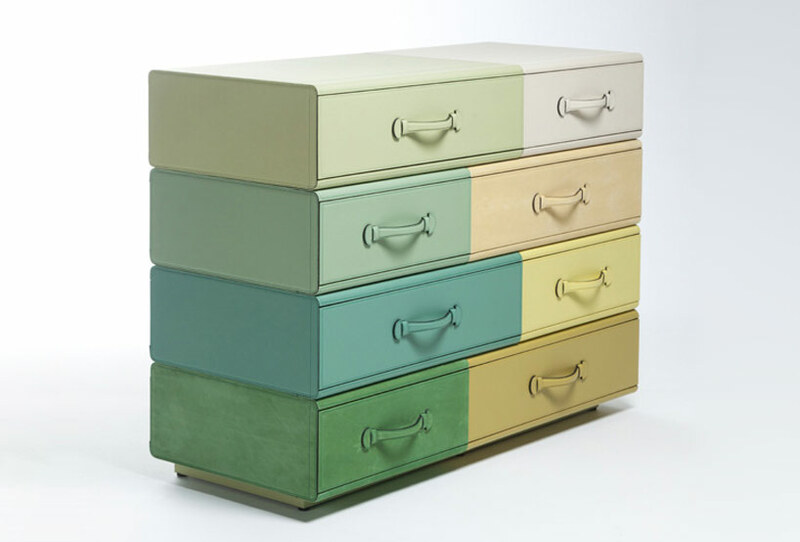 nilufar gallery will present the latest iteration of de ceulaer’s ‘the leather collection’ during milan design week 2013.
in addition, the collection of storage pieces are being featured in galerie du passage‘s ‘voyages’ exhibition which runs from april 16th to may 11th, 2013.